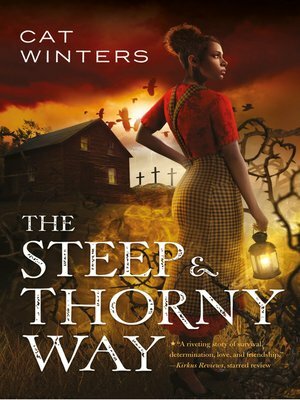 A thrilling reimagining of Shakespeare's Hamlet, The Steep and Thorny Way tells the story of a murder most foul and the mighty power of love and acceptance in a state gone terribly rotten.1920s Oregon is not a welcoming place for Hanalee Denney, the daughter of a white woman and an African-American man. She has almost no rights by law, and the Ku Klux Klan breeds fear and hatred in even Hanalee's oldest friendships. Plus, her father, Hank Denney, died a year ago, hit by a drunk-driving teenager. Now her father's killer is out of jail and back in town, and he claims that Hanalee's father wasn't killed by the accident at all but, instead, was poisoned by the doctor who looked after him—who happens to be Hanalee's new stepfather.The only way for Hanalee to get the answers she needs is to ask Hank himself, a "haint" wandering the roads at night. Cat Winters is the author of The Cure for Dreaming and In the Shadow of Blackbirds, which collected three starred reviews and was a finalist for the William C. Morris Award for debut YA fiction. She lives in Portland, Oregon. catwinters.com.